Get on the blockchain bandwagon with little effort. 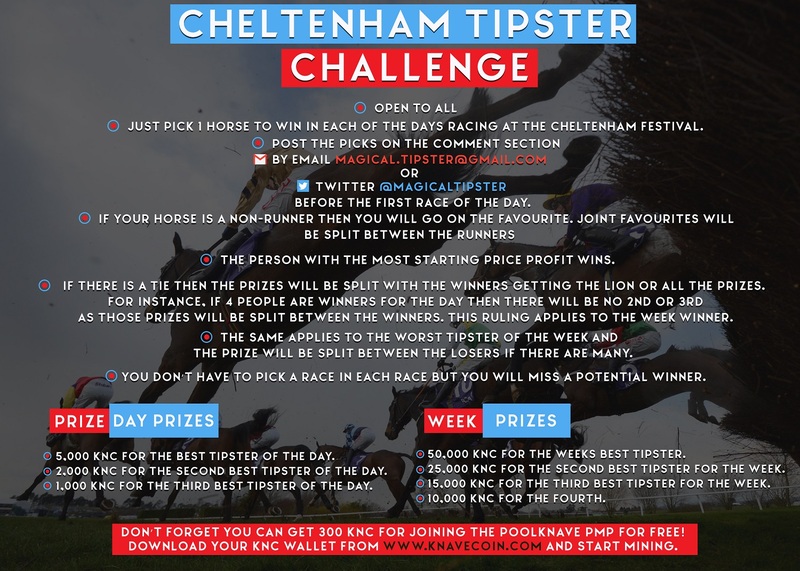 Just follow the program as depicted in the infogram, you do not have to be an expert all Cheltenham Festival horses have a chance. 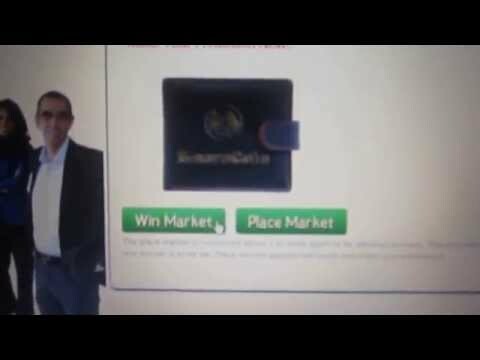 Join Poolknave PMP have another inspired guess at the winners and get more Knavecoins! Brilliant. So in two jumps you can win Knavecoins for picking random horses to win at Cheltenham Festival 2017 and posting either at tips.pokerknave.com, via Twitter or Facebook. Then get free coins by joining Poolknave PMP and win some more Knavecoins by place coins on the various horses at the meeting. PokerKnave's Blog 2017, altcoin, betting, Cheltenham Challenge, knavecoin, Latest News, PoolKnave Pari-Mutuel Predictor, The magical tipster, video. permalink.